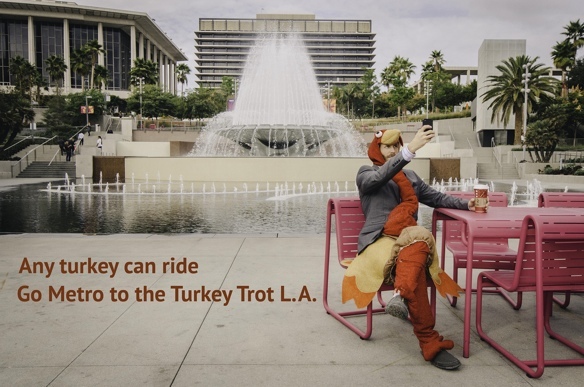 Just a quick reminder: If you need a lift to the Turkey Trot 5K or 10K in downtown Los Angeles on Thursday, Metro Rail will be running (on a Sunday schedule). Registration is still open for the race; here is more information. Show your TAP card and get a 10 percent discount on registration! The race begins on Spring Street in front of City Hall and Grand Park. 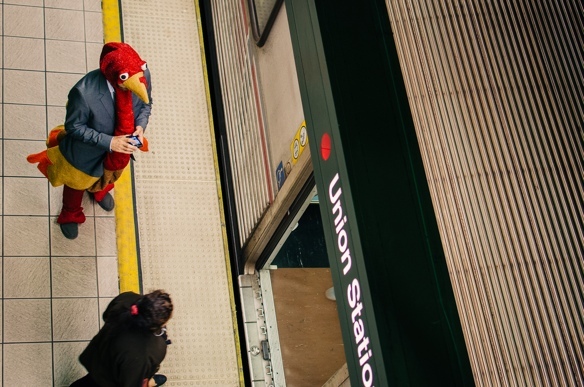 The Red/Purple Line Civic Center station is two blocks east and an easy walk through the park (literally). 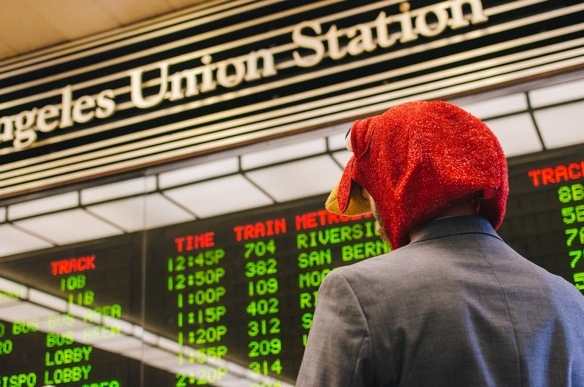 The Gold Line’s Little Tokyo station is a 10-minute walk away — just walk on 1st Street toward City Hall. Here are bus and rail maps and timetables and fare information.